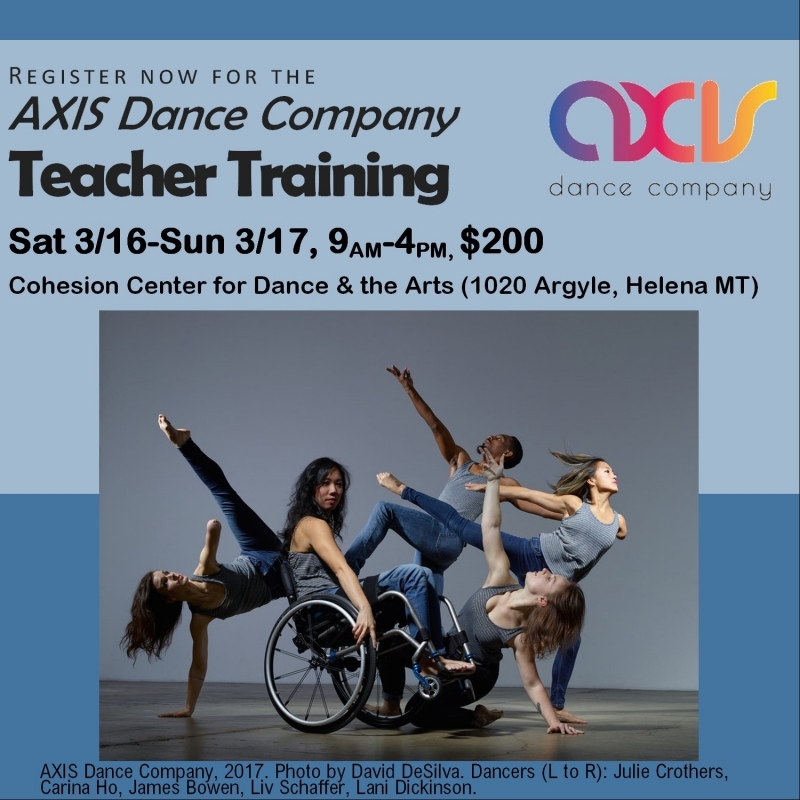 Cohesion Dance Project is hosting an integrative movement training with the acclaimed AXIS Dance Company on March 16th and 17th from 9 AM - 4 PM at Cohesion Center for Dance & the Arts. This training course is designed for teachers, dancers, artists, and anyone who works with people with disabilities interested in developing their skills in leading integrated movement in an inclusive, supportive environment. Drawing on AXIS Dance Company’s creative practice, expertise and methodology, students will explore removing physical and emotional barriers that prevent people with disabilities from attending class, developing universal language and communication, generating a realistic approach to teaching inclusivity, nurturing a mutual dialogue of respect between teacher and student, working with different bodies to ensure all are challenged and learning, and much, much more. Founded in 1987, AXIS is the nation’s most acclaimed ensemble of disabled and non-disabled performers based in Oakland, CA. Alongside their artistic performance program, the Company provides unparalleled integrated dance education and outreach programs. 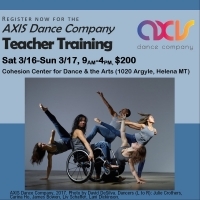 From recreational to professional training, AXIS builds access to dance education for people of all ages with and without disabilities. This two-day workshop is $200. Registration is available at cohesiondance.org.